From the author of "Veganomicon" comes the ultimate guide to vegan breakfast and brunch, featuring beautiful colour photos and 75 delicious recipes for classic and new favourites. Omelettes. French toast. Bacon. Brunch has always been about comfort, calories - and for vegans everywhere, a feast of foods they can't touch. Until now! 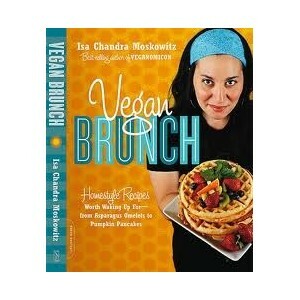 America's bestselling vegan chef Isa Chandra Moskowitz is here to change all that. She unleashes her signature flair and ingenuity to give you recipes you won't find anywhere else for a brunch that will bring you back from a late night on the town or wake you up for a meal you won't want to forget.Recipes range from the classic (Pancakes and Waffles) to the inspired (Breakfast Dim Sum, anyone?) to the essential (Bloody Marys) and include: Old Fashioned Chelsea Waffles; Banana Rabanada (Brazilian French Toast); Swiss Chard Frittata; Rosemary Tomato Scones; Blueberry Ginger Spelt Muffins; Pain au Chocolat with Fresh Fruit. The book also includes gluten-free and soy-free recipes, as well as quick breakfasts to make when you're running late. 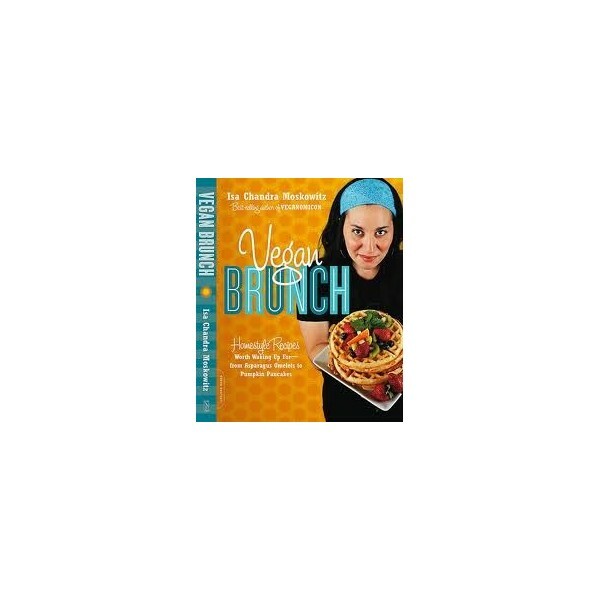 With over 75 recipes perfect for one or to wow a crowd, and gorgeous full colour photos throughout, Vegan Brunch is the ultimate cookbook for the most important meal of the day.